Kura Productions is a joint venture between Quinton Hita and South Pacific Pictures and offers a range of programming to Māori Television Service and other broadcasters in New Zealand. In 2004, Karen moved to Auckland and found her niche providing production services to independent Māori television companies. Karen met Quinton Hita through her husband Kotuku Tibble, and when Kura Productions was formed, Quinton called on her services to assist find the talent for the first series of his new Māori language quiz show -Kupuhuna. Following that she worked as Production Manager for the Pilot of PŪKORO and then produced the 2nd Series of KUPUHUNA. Since 2007, Karen has produced all shows for Kura. In 2012, She undertook new learning in being Line Producer for MT ZION- under Small Axe Films - with Quinton HIta and Tearepa Kahi. In 2013, she and Kotuku, also produced under Kura, the documentary 'Te Kati - The Goethe Mystery. The story about the connections of the Gotty family of NZ - Kotuku's maternal side, to the great German Literary icon, Johann Wolfgang von Goethe, it was frst broadcast in Oct 2014. Before Television production Karen already had an impressive career that spanned tourism, health and the arts and is inspired by her commitment to progressing Māori development, especially in Māori Tourism and Māori Health. Despite her busy television career, Karen has continued to chair the Māori Trademarks Advisory Group since 2002, which provides advice on trademarks that include references to Māori that may be likely to cause offence. 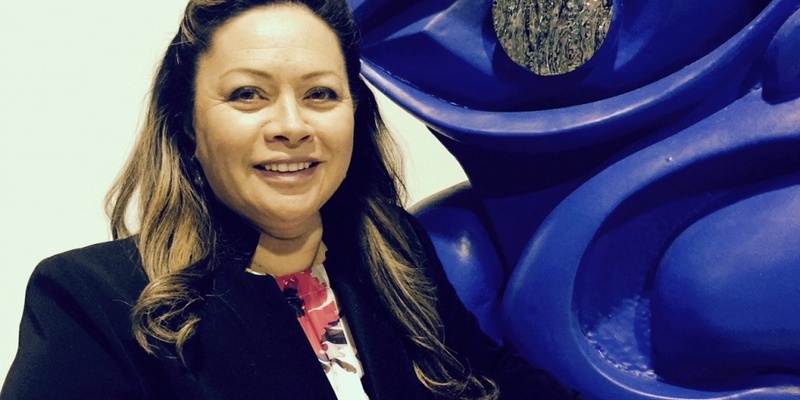 She was also recently appointed in March 2015 to the Māori Patents Advisory Committee. Exciting work at the forefront of Indigenous branding issues. Quinton Hita has been working in the local entertainment industry for close to 20 years having started off with a job writing Māori news for Kia Ora FM in Manawatu whilst teaching Māori at the local city council. This led to a job presenting Mai Time on TV2 for two years, working at the same time for Ruia Mai where he produced, wrote, and presented Ka Hao te Rangatahi. Now head of Kura Productions (a joint venture with South Pacific Pictures), Quinton has seen Kura Productions produce over 400 hours of television. South Pacific Pictures is New Zealand’s largest production company with an international reputation for producing world-class television and film. The company is in its 26th year of operation and to date has produced more than 4000 hours of programming. Drama series and serials, comedies, feature films, entertainment, reality and documentaries are all part of the mix. The television slate includes work for New Zealand, Australian, Canadian and UK broadcasters. South Pacific Pictures' cornerstone production is the primetime nightly serial drama Shortland Street, now in its 23rd year on air and continuing to dominate its 7pm timeslot. Westside, a six-part Outrageous Fortune prequel for TV3, screened in 2015 to excellent ratings and rave reviews from both critics and fans. A second season consisting of 10 episodes is currently in production and will air in 2016. The 2015 production slate also includes 800 Words - a comedy drama series starring Erik Thomson for the Seven Network in Australia which has blitzed the Australian television ratings. It premieres on TV One in New Zealand in November 2015. A second season of Step Dave is currently screening on TV2 and Tatau, an eight-part drama aired earlier in the year on BBC3. Also currently in production is Forensics, a six-part documentary series for Prime TV. Other recent productions include the comedy dramas Nothing Trivial Series 1, 2 & 3 and telefeature, The Almighty Johnsons Series 1, 2 & 3, Go Girls Series 1 - 5 and The Blue Rose; as well as Golden, a primetime comedy series. Outrageous Fortune, the sixth and final season of which finished screening in 2010, cemented its position as New Zealand’s standout drama series. The award-winning and critically acclaimed show has sold into Australia, Canada, the United Kingdom and across Europe. The Outrageous Fortune format has also been licensed to the USA and the UK for local adaptations. 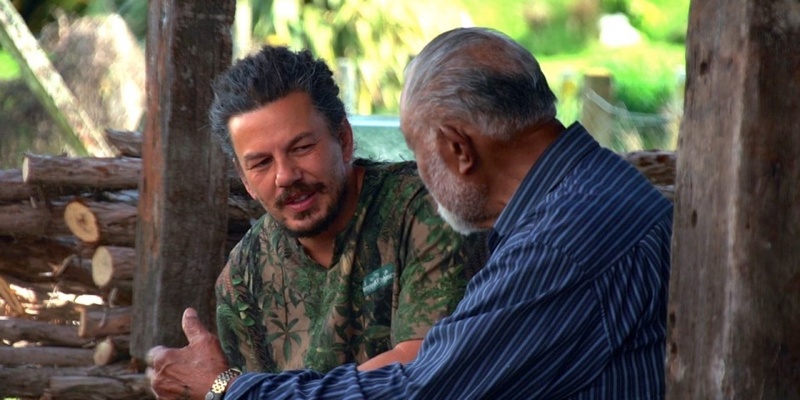 South Pacific Pictures feature films include White Lies | Tuakiri Huna, based on a Witi Ihimaera story, which screened in New Zealand cinemas in 2013 and was submitted as the official New Zealand entry for consideration for Best Foreign Language film at the 86th Academy Awards. The comedy Sione’s 2: Unfinished Business screened in cinemas in early 2012 and was the highest grossing NZ film in 2012. Like its predecessor, Sione’s Wedding, it rates in the top ten NZ films at the New Zealand box-office. South Pacific Pictures’ other feature film highlights include the 2002 Oscar-nominated feature film Whale Rider and What Becomes of the Broken Hearted?